Chae Dolsen of Webster Lake Guide Service will be giving seminars at the Ford Indianapolis Boat Sport and Travel Show in the Hawg Trough area. 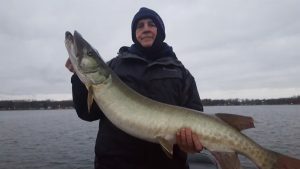 You can find the schedule here http://indianapolisboatsportandtravelshow.com/events the seminar will be on the Indiana musky population how the fishery is on the rise again. I will be discussing when where and how to catch them. 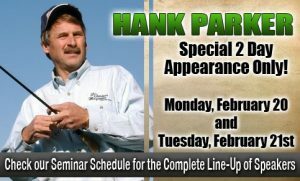 I will also be giving lure demonstrations at the hawg trough. A few of the new lures I have to demonstrate are the smoker Tackle SS shiner, Musky Kombat sidewinder http://www.muskykombat.com/ and the Vexer https://www.driftertackle.net/shop/crankbaits/vexer-standard-colors/ . I will have the new 13 fishing musky reel Concept A3 http://www.13fishing.com/concept-a3/ for everyone to see. Some of the other things to do at the show include a lumber Jack show, K9 X games, Ask the pro seminar Crappie Superstars Ask the Pros Courtesy of B’n’M Poles – Saturday, Feb. 25th and Sunday, Feb. 26th Only! Bottom Feeders Ask the Pros – Saturday, Feb. 20th and Sunday, Feb. 26th Only!